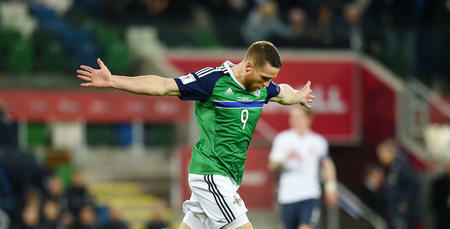 CONOR Washington played 77 minutes for Northern Ireland in their 3-0 win against San Marino on Friday evening. The QPR striker helped the Irish to three points in their FIFA 2018 World Cup Qualifier at the San Marino Stadium. Washington was replaced after his side went three up ahead of their match against the Czech Republic on Monday evening. Northern Ireland are currently second in Group C with a win on Monday night securing their place in the play-offs to book a place at the finals in Russia next year. Meanwhile, R’s winger Pawel Wszolek was an unused substitute for Poland in their 4-0 FIFA 2018 World Cup Qualifying defeat against Denmark on Friday night. The QPR wideman watched on from the bench as the Poles suffered a Group E loss. Poland host Kazakhstan on Monday in Warsaw.